Hi all—long-time lurker, first-time poster. A great crew of people on here. Came across a freebie that I thought was worth picking up. 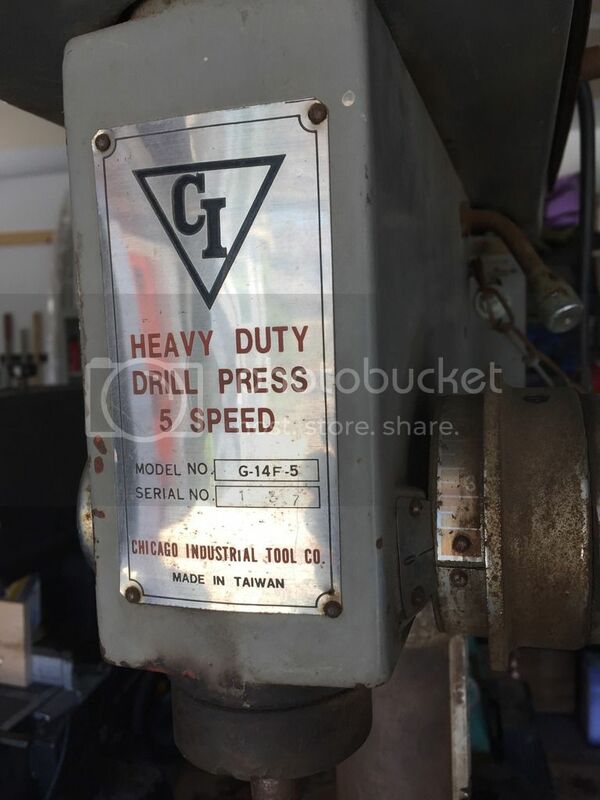 Looks to be 70’s/80’s era Chicago Industrial Tool Co, 5 speed drill press. Model number is G-14 F-5. 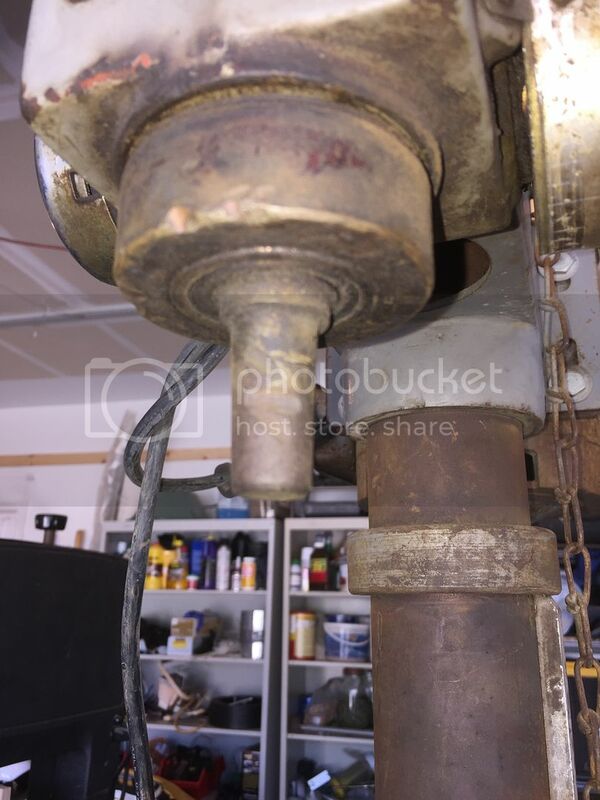 Motor runs just fine, drill head turns without much resistance—only catch is: no chuck. I’ve never replaced a chuck before. The shaft (“spindle”?) tapers from about 16 mm at the top, to about 15 mm at the bottom. There appears to be some damage where, I presume, the previous chuck sheared off. I don’t want to sink much money into this thing, as I’m not sure how long it will last or how much use it will really get. Looking for guidance on a (hopefully used and/or cheap) chuck that will fit the tapered shaft. Also wondering how a chuck is held on. Was thinking it might be a grub screw that tightens against a flat spot on the shaft? I’d probably need to grind a flat spot. If a picture of the shaft would be helpful, I can easily snap one. Taiwan cranked out tons of these in the 70s and 80s, they are capable and worth owning. The chuck attaches to an arbor which will have a machine taper at both ends. The easiest way to get them out is apply sideways pressure while turning the chuck, or you can use a drift key. Sounds like you need a new chuck and arbor but you need to identify the taper first which should be either a Morse or Jacobs taper. The chuck will have one taper, the drill press is likely to have a different taper, so the arbor will have 2 different tapers. Looking at the pic it appears the arbor is still there which will simplify everything. It fits into a taper in the machine and can be removed as stated earlier. How bad is the damage? You may not need to replace it unless it’s bent. Thanks, Rick. Helpful stuff. It sounds like I might be able to get away with leaving the arbor in? Doesn’t appear bent…turned it on and it doesn’t seem to wobble much. Here’s a few more pics. I’m not seeing much of a way to remove the existing arbor (pardon if I’m using the wrong terms). But since it seems to be quite well attached, does that mean I can just get a chuck that fits it and somehow tighten it onto that tapered shaft? The spindle should be all one piece, and most drill tapers are JT33 (although yours doesn’t really look like it is a taper). Measure to make sure. I believe Delta spindles are one piece but Taiwan/Jet spindles should have a removable arbor. 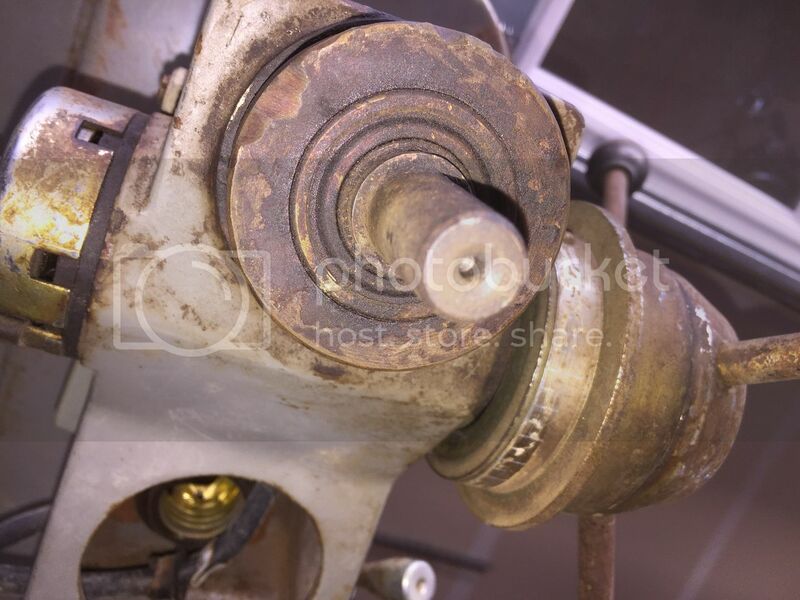 Crank the spindle down and there should be a slot to put a wedge in to tap the arbor out maybe? If it’s a Morse taper I’d just get a MT2 to JT33 replacement arbor. Crank the spindle down and there should be a slot to put a wedge in to tap the arbor out maybe? If it s a Morse taper I d just get a MT2 to JT33 replacement arbor. So I have looked at it several times and do not see any place where I can drive a wedge to remove anything (even with the drill “pressed” fully).